TORTOLA, British Virgin Islands , Oct. 23, 2018 /CNW/ - At the request of IIROC, Sailfish Royalty Corp. (FISH.V) ("Sailfish" or the "Company") wishes to confirm that the Company's management is unaware of any material change in the Company's operations that would account for the recent increase in market activity. Shareholders are reminded that the Company's annual and special meeting of shareholders is scheduled to be held at 1:30 p.m. Pacific Time on Oct. 30, 2018 , at the offices of McMillan LLP, Suite 1500, 1055 West Georgia St., Vancouver, B.C. , V6E 4N7. At the meeting, shareholders will be asked to approve, among other things, the restructuring of the Company's gold stream on the San Albino gold project. Further information is available in the Company's information circular, which is available on Sailfish's SEDAR profile at www.sedar.com. 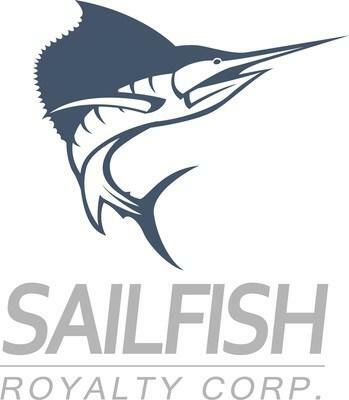 Sailfish is a yield-focused royalty company. Sailfish owns the TZ Royalty, which is a 3.5% royalty on revenues derived from the sale of gold on Eldorado Gold Corp.'s advanced stage Tocantinzinho gold project, and also holds a gold stream agreement on the San Albino gold project in Northern Nicaragua .